The Survivor’s Celebration Walk has become Tuam Cancer Care’s biggest annual fundraising event. 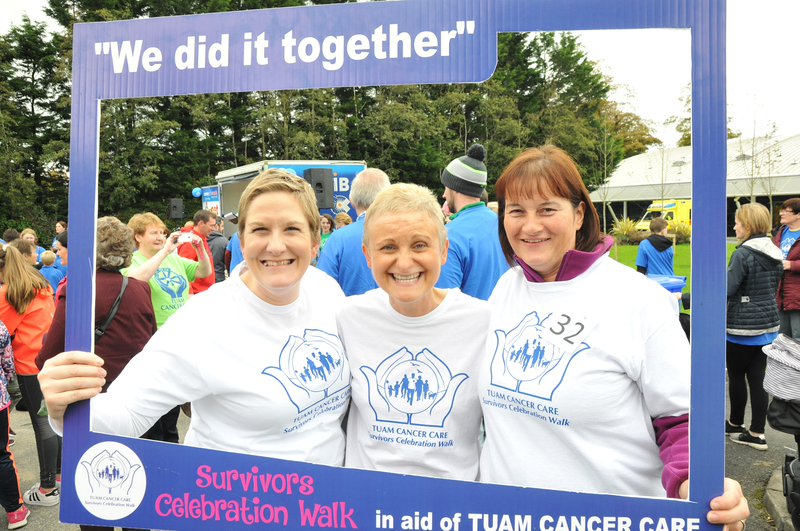 This year the walk takes place on Sunday 14th October, in The Place Grounds Tuam, starting at 2pm. The walk gives us an opportunity to celebrate cancer survivors and their families and friends, in a lively, warm atmosphere. The event also reflects the support that people receive through our services, with music and entertainment and at the same time raises much needed funds for the Centre. In addition to the Walk we will again be having a tree planting remembrance ceremony where people can tie ribbons to our newly planted tree in memory of people they have lost through cancer. Ribbons can be purchased on the day for €2. 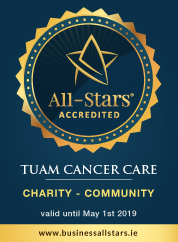 For more details on this event please contact Eimear at the Centre on 093 28522 or email fundraising@tuamcancercare.ie. Don’t forget registration is FREE. Sponsorship cards are provided on registration.